South Africa has made considerable strides toward improving the wellbeing of its citizens since its transition to democracy in the early 1990s, but the slow pace of transformation in recent years has meant that income inequality remains structurally high. The current administration is acutely aware of the immense challenges it needs to overcome to accelerate progress and build a more inclusive society. Its vision and the priorities it is making to address them are outlined in the 2030 National Development Plan, which comprises the two main strategic goals of eliminating poverty and reducing the country's Gini coefficient (a measure of inequality) from 0.69 to 0.60 by 2030. President Zuma resigned under pressure from the governing ANC over corruption charges, which chose veteran trade unionist and businessman Cyril Ramaphosa as his successor. President Cyril Ramaphosa announced a package of economic reforms and spending plans in an effort to boost South Africa's sluggish economy. Elections in South Africa are to be held for the National Assembly, provincial legislatures and municipal councils. South Africa is a member of the World Trade Organisation (WTO). 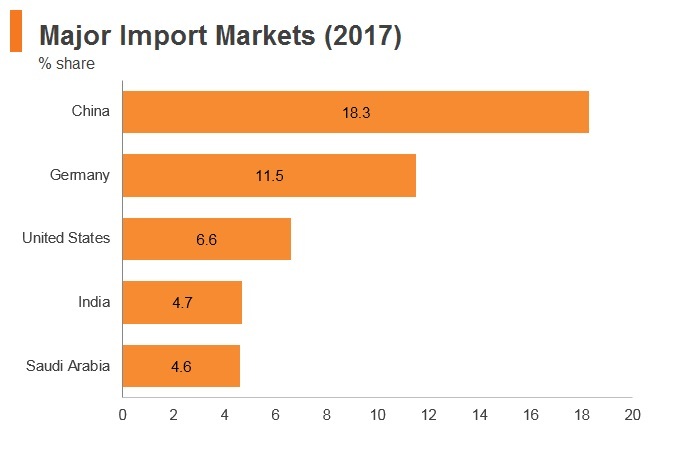 Imports originated from other WTO members, including Hong Kong and the Chinese mainland, are subject to the country's most-favoured-nation (MFN) tariff rates. In addition to import tariffs, most goods are subject to a value-added tax (VAT), where the standard rate is currently set at 15%. However, VAT on goods imported for use in manufacturing or resale by registered traders can be claimed as an input tax reduction. South Africa may initiate anti-dumping or countervailing investigation and impose duties when unfair trade allegations are substantiated. However, there are no anti-dumping measures against Hong Kong products at present. Customs duties are charged on importation of goods into South Africa at rates ranging between 3% and 45%. In addition, import duties may also include anti-dumping and countervailing duties of up to 150%. No customs duties are charged on trade between South Africa and Botswana, Lesotho, Namibia, and Swaziland, as these five countries constitute the Southern African Customs Union (SACU). In trying to protect the local poultry industry from lower-cost United States and European Union (EU) chicken parts product exports, South African has imposed additional duties and quotas on both the United States and the EU chicken imports to the country. Excise duty is levied on certain locally manufactured goods as well as their imported equivalents. A specific duty at a pre-determined amount is levied on tobacco and liquor, and an ad valorem duty (calculated as a percentage of price) on certain luxury goods and automobiles. Relief from excise duty is available for exported products and for certain products produced in the course of specified farming, forestry, and (limited) manufacturing activities. VAT is an indirect tax that is largely directed at the domestic consumption of goods and services and at goods imported into South Africa. The tax is designed to be paid mainly by the ultimate consumer or purchaser in South Africa. It is levied at two rates, namely a standard rate and a zero rate (0%). With effect from April 1, 2018, the standard rate of VAT is 15% (prior to that date, the standard rate was 14%). Payments of import duties and VAT can be deferred if the goods are put in bonded warehouses. The South African government has also relaxed some of the country's import taxation rules, such as removing the requirement for a taxpayer to have a tax invoice prior to claiming an input tax credit. 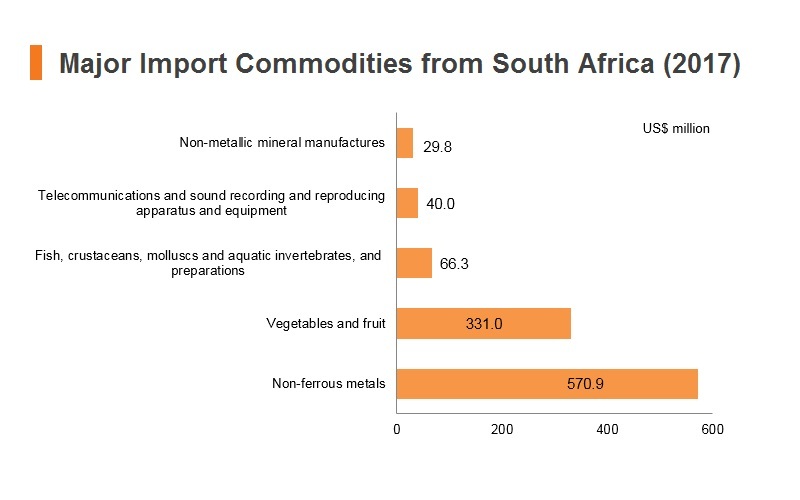 Most goods can be imported into South Africa without a permit, except for certain goods like foodstuffs, petroleum products, chemicals, second-hand goods, finished machinery and gold. Import permits are usually issued by the Department of Trade and Industry, and are used mainly to collect information rather than to limit trade. On June 10, 2016, the EU-Southern African Development Community (SADC) EPA was signed, with the SADC members of Botswana, Lesotho, Mozambique, Namibia, South Africa and Swaziland all party to the agreement. The agreement became the first regional EPA in Africa to be fully operational after Mozambique joined in February 2018. This grants improved market access to EU markets for South Africa (in addition to benefits granted under the Trade, Development and Cooperation Agreement between the EU and South Africa). This improved access to EU markets includes better trading terms for the agriculture and fishery sectors in particular. 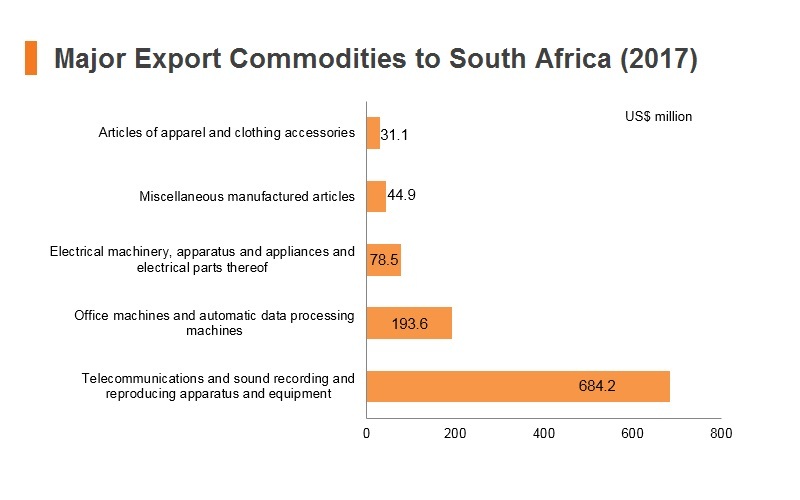 In 2016, an estimated total 26% of all of South Africa's exports went to the EU. 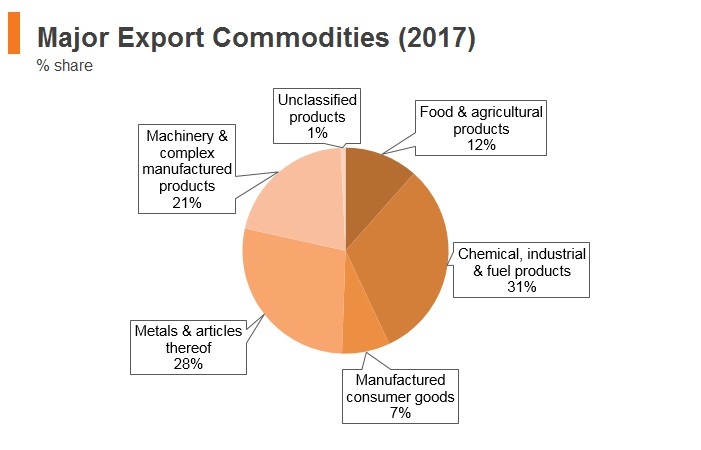 The EU is the Southern African Development Community EPA Group's largest trading partner, with South Africa accounting for the largest part of EU imports to and EU exports from the region. The other six members of the Southern African Development Community region – the Democratic Republic of the Congo, Madagascar, Malawi, Mauritius, Zambia and Zimbabwe – are negotiating Economic Partnership Agreements with the EU as part of other regional groups, namely Central Africa or Eastern and Southern Africa. EU-SADC EPA and the EU – South Africa Trade, Development and Co-operational Agreement – On June 10, 2016, the EU-SADC EPA was signed, with SADC members Botswana, Lesotho, Mozambique, Namibia, South Africa and Swaziland all party to the agreement. This grants improved market access to EU markets for South Africa (in addition to the benefits granted under the Trade, Development and Cooperation Agreement between the EU and South Africa). SACU – consisting of South Africa, Botswana, Lesotho, Namibia and Swaziland. Duty-free movement of goods with a common external tariff on goods entering any of the countries from outside the SACU is a key benefit. This has greatly enhanced trade flows between these countries. 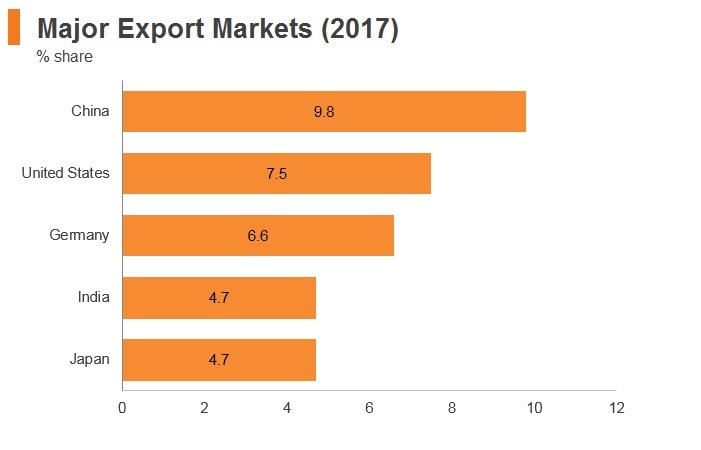 Namibia and Botswana are two of South Africa's largest regional exporting partners. SADC Free Trade Area (FTA) (Between 12 SADC Member States) – The SADC FTA was achieved in August 2008, when a phased programme of tariff reductions that had commenced in 2001 resulted in the attainment of minimum conditions for the FTA – 85% of intra-regional trade amongst the partner states attained zero duty. While the minimum conditions were met, maximum tariff liberalisation was only attained by January 2012, when the tariff phase down process for sensitive products was completed. For countries falling under the SACU, this process was completed in January 2007. Africa Growth and Opportunity Act (AGOA) – The United States is South Africa's second largest exporting partner. Granted by the United States to 39 SSA countries (South Africa included). 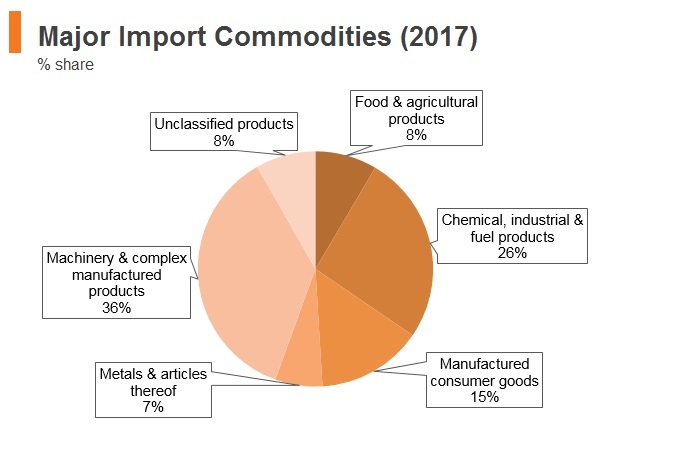 Preferential access to the United States market for many South African exports is granted through lower tariffs or no tariffs on some products. Duty-free access to the United States market under the combined AGOA/GSP programme stands at approximately 7,000 product tariff lines. The Preferential Trade Agreement (PTA) between the SACU and the Common Market of the South (MERCOSUR) – In October 2016 that the PTA between SACU and the MERCOSUR had been entered into force. MERCOSUR is a full customs union and trading bloc consisting of Argentina, Brazil, Paraguay and Uruguay. This PTA will offer reciprocal preferential tariff rates on around 1,000 product lines ranging from 10-100%. 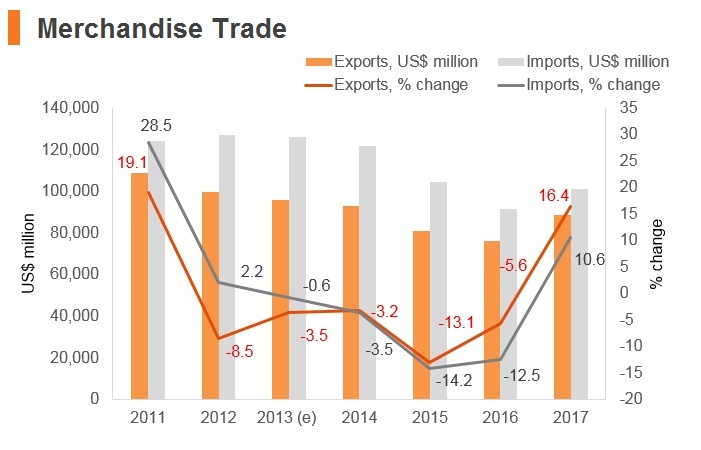 This agreement is very new at present; currently, the Latin American region only accounts for around 1% of South Africa's export revenues and South Africa only imports around 4% of total import products from Latin America as a region. Tripartite Free Trade Agreement (links Common Market for Eastern and Southern Africa – COMESA, the South African Development Community – SADC and the East African Community – EAC). 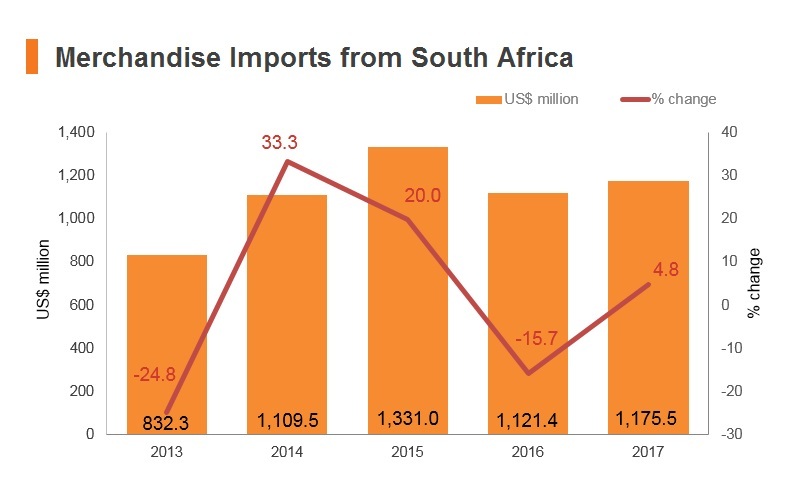 While most of South Africa's main African trading partners are already within the SADC area, reducing tariffs between South Africa and other African countries will undoubtedly increase trade flows between South Africa and the rest of the continent. 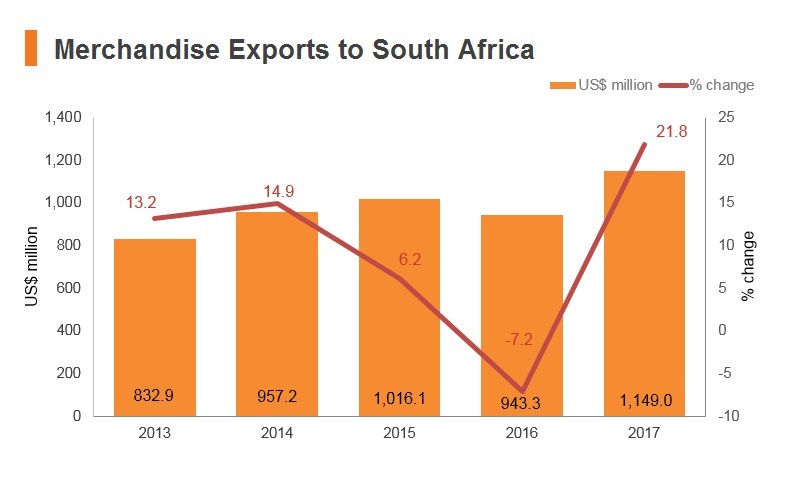 South Africa needs to diversify its main export base in order to reduce its exposure to shifts in external demand from its core export base, which mostly consists of China and other SACU-member states. The African Continental Free Trade Agreement (AfCFTA) is a trade agreement between 44 African Union member states with the goal of creating a single market followed by free movement and a single currency union. The AfCFTA was signed in Kigali, Rwanda on March 21, 2018. Signing the Agreement does not yet establish the African Continental Free Trade Area. It will function as an umbrella to which protocols and annexes will be added. Once all documents are concluded and ratified by 22 states, the FTA will formally exist. Negotiations will continue in 2018 with Phase II, including Competition Policy, Investment and Intellectual Property Rights. A draft shall be submitted for the January 2020 AU Assembly. 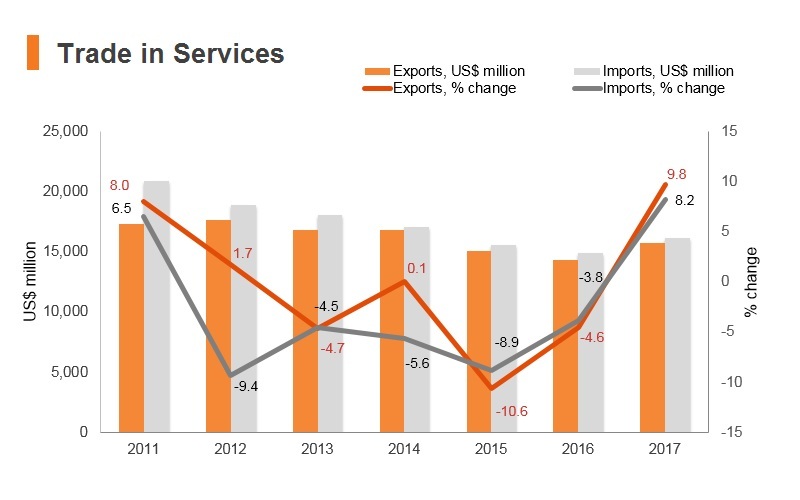 The government of South Africa is generally open to foreign investment as a means to drive economic growth, improve international competitiveness, and access foreign markets. Merger and acquisition activity is more sensitive and requires advance work to answer potential stakeholder concerns. In 2008, a ZAR20 billion incentive package for investors in energy efficient projects was announced. 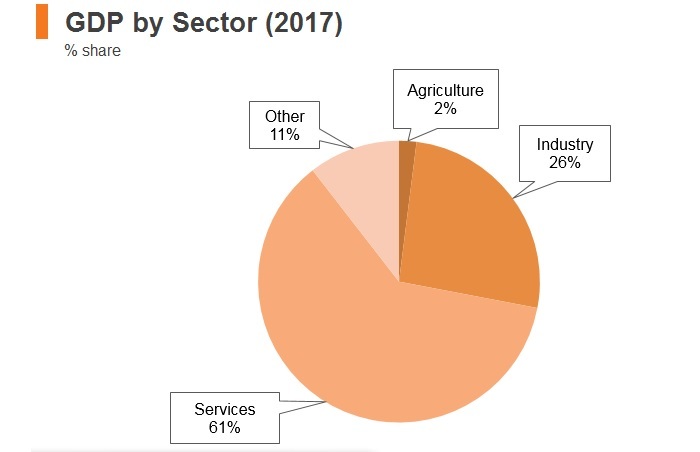 The incentive is available for industrial projects participating in the manufacturing sector (other than alcohol or alcohol-related products, tobacco or tobacco-related products, arms and ammunition, and biofuels, which have a negative impact on food security). Companies are divided into those with a qualifying status and those with a preferred status. The status is determined in terms of a point system. In addition to the above, a company may also claim a deduction known as an additional training allowance. The proposed project must either be a 'brownfield project' (expansion or upgrade of an existing industrial project) or a 'greenfield project' (a wholly new industrial project, which uses new and unused manufacturing assets). Approved projects may be granted a tax allowance known as an additional investment allowance equal to 55% (100% if located in an industrial development zone) of the cost of any manufacturing asset used in an industrial policy project with preferred status or 35% (75% if located in an industrial development zone) of the cost of any manufacturing asset used in any other approved industrial policy project. Since assuming office in February 2018, President Cyril Ramaphosa has committed to improving the investment climate. The early steps he has taken are encouraging, but the challenges are enormous. Virtually all business sectors are open to foreign investment. Certain sectors require government approval for foreign participation, including energy, mining, banking, insurance, and defence. Excepting those sectors, no government approval is required to invest, and there are few restrictions on the form or extent of foreign investment. The Department of Trade and Industry's (DTI) Trade and Investment South Africa (TISA) division provides assistance to foreign investors. 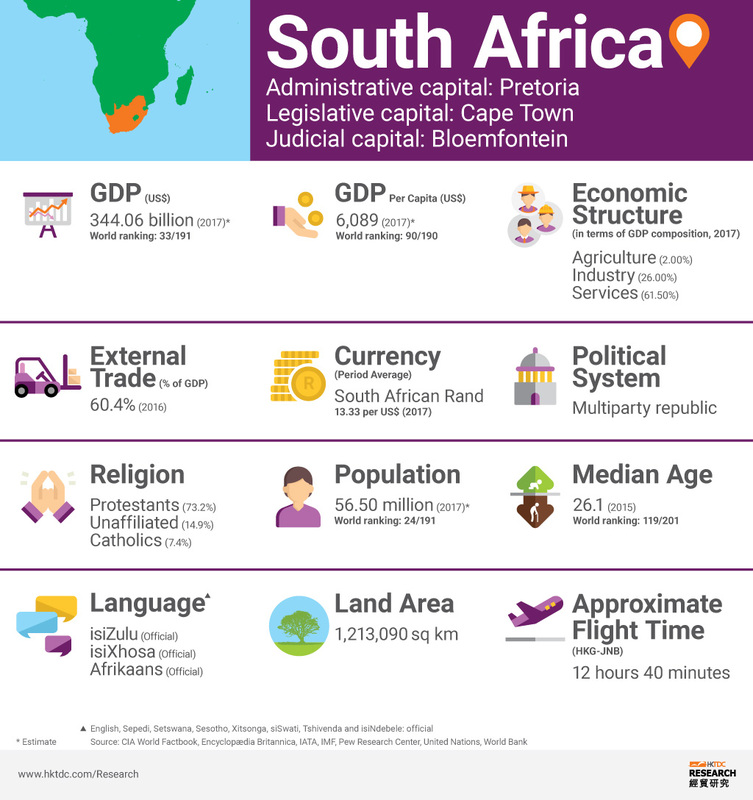 Recently, they announced a One-Stop Shop for investment support, with offices in Pretoria, Cape Town and Durban, and an online presence at the South African Government website. The DTI most actively courts manufacturing industries in which research indicates the foreign country has a comparative advantage. It also favours manufacturing under a belief that it can be labour intensive, and where suppliers can be developed from local industries. In February 2014, the DTI introduced a new Special Economic Zones (SEZs) Bill focused on industrial development. The Bill was subsequently passed, and the SEZs are in the process of being created. The SEZs are intended to encompass the Industrial Development Zones (IDZs) but also provide scope for economic activity beyond export-driven industry to include innovation centres and regional development. An SEZ incentive has been introduced for companies operating a business in an SEZ comprising of a reduced corporate tax rate of 15% as well as a 10% allowance in respect of the cost of new and unused buildings owned by a qualifying company or any new or unused improvements to any building owned by a qualifying company. In addition, employment incentives have also been introduced for employers operating in an SEZ that will allow for an employees' tax reduction for the employer in respect of qualifying employees, up to a prescribed monthly amount. TISA offers information on sectors and industries, consultation on the regulatory environment, facilitation for investment missions, links to joint venture partners, information on incentive packages, assistance with work permits, and logistical support for relocation. Currently there are no limitations on foreign ownership, although the Private Security Industry Regulation Act (PSIRA) which has passed Parliament and is awaiting presidential signature to become law, has a clause requiring 51% ownership and control by South Africans of companies in the security industry. Income from international shipping of a resident company which holds a share in a South African flagged ship is exempt from income tax. Qualifying shipping companies can also use a currency other than the rand as their functional currency. In the early 1990s, South Africa entered into Bilateral Investment Treaties (BITs) with many foreign countries; these governed the foreign investment regime for investors from those countries in South Africa (in terms of offering guarantees in the event of expropriation and recourse to certain dispute resolution mechanisms). However, in 2013 South Africa unilaterally cancelled many of its BITs or expressed that the BITs would not be renewed (mainly with EU members) in order to make changes to the way in which those protections are ensured, while maintaining its right to implement policies to address the country's social and economic requirements and to redress the injustices of the past through its affirmative action policies. In order to assist small and medium-sized businesses to raise capital to finance businesses, a tax incentive for investors in small and medium-sized enterprises through venture capital companies was introduced. A deduction is allowed from the income of a taxpayer in respect of expenditures actually incurred by that person in respect of shares issued to that person by a venture capital company. In dealing with the legacy of apartheid, South African laws, policies, and reforms seek to produce economic transformation to increase the economic participation of, and opportunities for, historically disadvantaged South Africans. The government views its role as the primary driver of development and aims to promote greater industrialisation. Government initiatives to accelerate transformation have included tightening labour laws to achieve proportional racial, gender, and disability representation in workplaces, and including performance requirements for government procurement such as equity stakes and localisation. Following the adoption of a resolution at the December 2017 conference of the African National Congress, investors are closely watching how the government will implement land reform initiatives and what Parliament will decide as a result of its review of the constitution and the issue of expropriation of land without compensation. The government has changed the process of settling of legal disputes between foreign investors and the South African government. In terms of dispute settlement, the foreign investor must exhaust all domestic remedies before they are entitled to take the matter to an international tribunal. Protection under this legislation for foreign direct investment (FDI) is, therefore, considerably less than under the old BITs (which do, however, remain in force until this legislation is given a promulgation date). The current costs related to certain R&D activities carried on in South Africa are 150% deductible, subject to pre-approval by a government-appointed approval committee. 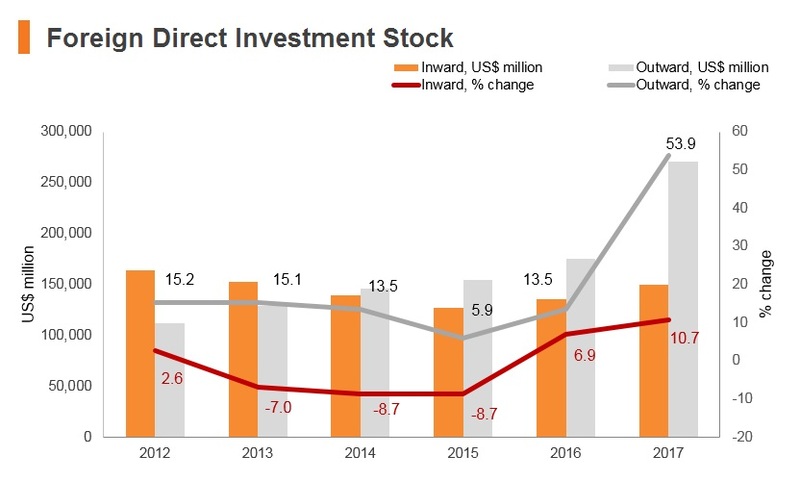 The cost of machinery and other capital assets acquired for the purposes of R&D may be depreciated 40% in the first year of use, 20% in the second, 20% in the third year, and 20% in the fourth year. Buildings used in the process of R&D may be written-off over a 20-year period. IDZs, located at Dube Trade Port IDZ - Durban, Coega IDZ; - Port Elizabeth, East London IDZ, Richard's Bay and Saldanha Bay IDZ In 2000, the South African government initiated the IDZs programme, which is part of a broader national effort to promote SEZs, including free ports, free trade zones, IDZs, and sector development zones. Various tax incentives are on offer which differs between the various SEZs and different sectors. Special CIT rates apply in certain industries, such as mining and long-term insurance. Those companies classified as residents are then taxed on their global incomes. However non-resident companies are not taxed on their non-South African incomes. From April 1, 2018, the VAT rate increased from 14% to 15% (the VAT rate was last increased in the early 1990s). It has been proposed that regulations prescribing foreign electronic services subject to VAT be broadened to include cloud computing and other online services. A tax on sugar-sweetened beverages, in the form of the Health Promotion Levy on Sugary Beverages, was introduced on April 1, 2018. The base on which the levy is applied is the sugar content of the beverage. The rate of the levy is 2.1 cents per gram for sugar content in excess of 4g/100ml. For powder and liquid concentrates, sugar content is calculated on the total volume of the prepared beverage. There are targeted tax breaks available under a scheme is overseen by the DTI. Seeking to promote new business and encourage trade, the tax breaks of 50% or 100% are available for certain approved investments if they are managed through the Strategic Industrial Project (SIP) programme of the DTI. Corporate Tax rates: resident companies A flat corporate tax rate of 28% applies to all companies and close corporations, with the exception of companies which mine for gold or long-term insurance companies which pay special rates determined by industry-specific scales. Non-resident companies Branches of foreign companies operating in South Africa are taxed at a flat rate of 28% and are not liable for dividends tax or any branch's repatriation tax on profits. They are only taxed on their locally-sourced income. Dividends Tax A dividends tax of 20% is payable, on all dividends declared and paid by resident companies and non-resident companies in relation to shares listed on the JSE and paid to SA residents. This tax, however, is not payable if the beneficial owner of the dividend is an SA resident company, SA retirement fund, or other prescribed exempt person. Unemployment Insurance Fund (UIF) contributions 1% of gross remuneration payable to an employee, with a monthly cap of ZAR148.72 per employee. Another 1%, subject to the same cap, is payable by the employee and withheld by the employer. Donations Tax 20% of the value of property donated to the extent that this value does not exceed ZAR30 million, and at a rate of 25% of the value of property disposed of that exceeds ZAR30 million. VAT (standard) A standard rate of 15% applies as of April 1, 2018. Hiring procedures in South Africa are strictly regulated. Various affirmative action policies have been implemented since 1994 to promote the employment of South Africa's black population. These resulted in the passing of the Broad-Based Black Economic Empowerment (BBBEE) Act of 2003, for which new codes were introduced in 2015. 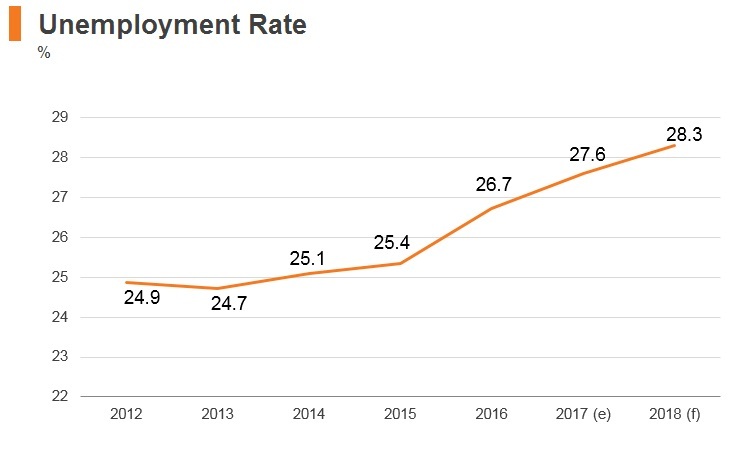 BBBEE policies are aimed at increasing the participation of previously disadvantaged people in the formal economy in relation to ownership and employee hiring. Companies may undergo a BBBEE audit and obtain a BBBEE score in terms of these codes. While BBBEE code compliance is voluntary for private companies, these codes are legally binding on state institutions and state-owned enterprises, which are also obliged to use the codes to measure BBBEE compliance when choosing suppliers, granting licences or making concessions. Therefore, when companies are participating in a public procurement process, the higher their BBBEE rating, the higher their competitive edge will be in the tendering process. In 2015 South Africa enacted new immigration laws which have made it more difficult for companies to hire foreign workers in certain circumstances. There are two types of visas that apply: the critical skills work visa and the general work permit. The South African government has acknowledged that in order to advance national interest, it needs to be easier for foreign workers with critical skills required for South Africa's economy to be granted permits to work in the country. Critical skills visas apply to a wide range of professionals in fields such as engineering, construction, agriculture and financial services. The critical skills visa can be applied for without a formal job offer and takes three months with minimal paper work. However, for companies wanting to employ foreign workers who do not fall within a critical skill set, the application procedure is particularly onerous. Prior to submitting an application for a general work visa (which can only be applied for from the applicant's country of origin), the prospective employer is required to apply to South Africa's Department of Labour for a certificate which confirms, among many things, that despite having conducted a diligent search, the prospective employer has been unable to find a suitable candidate with qualifications or skills and experience equivalent to those of the applicant. Once this has been granted the visa is supposed takes two to three months to issue, but delays are regular. It is therefore a highly extensive and costly process required for employers and potential foreign employees to obtain this type of visa. Citizens of most North and South American states, European states and African states are not required to obtain a visa for a visit lasting up to 90 days to South Africa. Citizens of most Asian countries are not required to obtain a visa for a visit lasting up to 30 days. Chinese and Russian citizens require visas. Changes to South Africa's visa regime which came in to force in 2014, included requirements that persons applying for a South African tourism visa must submit biometric data to the South African embassy they applied at, which means all applications had to be made in person. Furthermore, any adults travelling with minor children had to have an unabridged birth certificate for that minor child and proof of consent from both of the child's parents for that child to travel. These have been amended that foreigners who have applied for a South African visa can now do this via postal application or have a travel agency do it for them, and that they are no longer required to carry an unabridged birth certificate for their minor children. 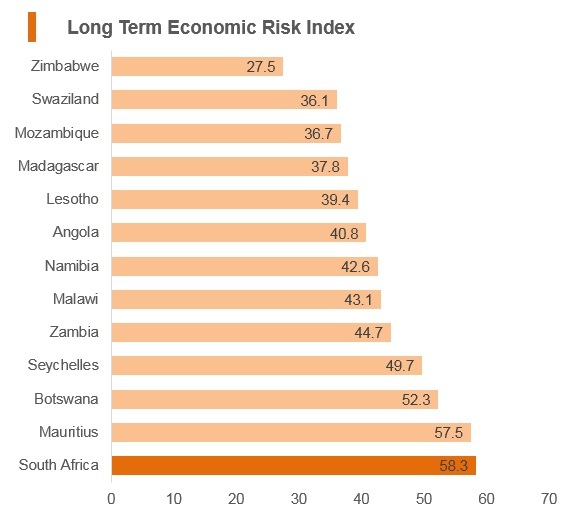 Given South Africa's close links with the global economy, the country remains heavily exposed to the external environment. 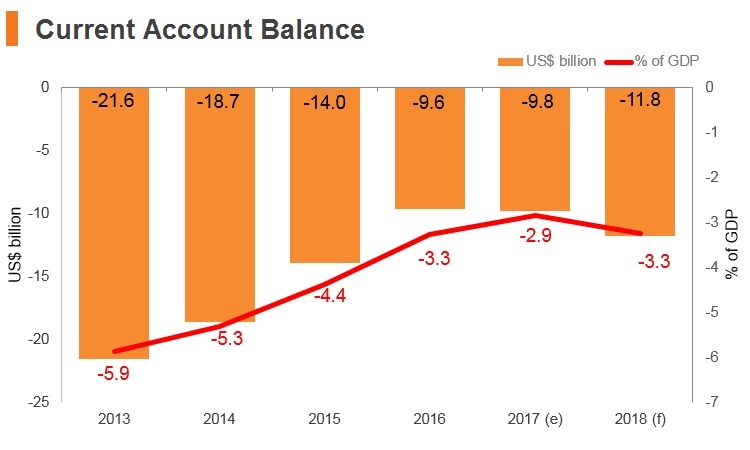 South Africa's current account deficit remains under pressure, and a potential decline in capital flows could make the financing of the shortfall a challenge over the medium term. 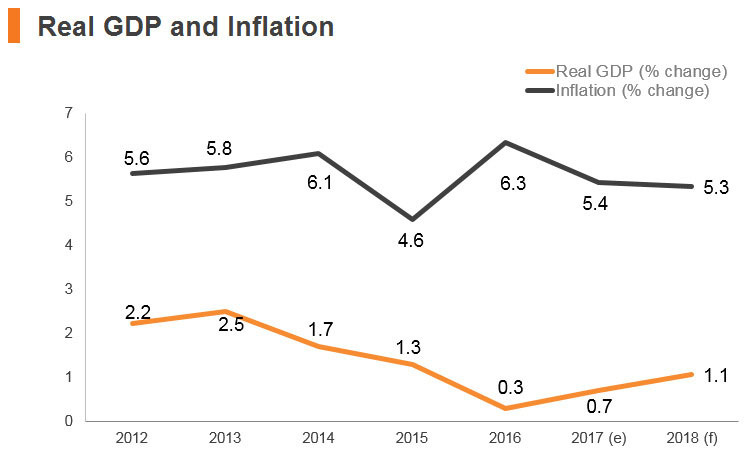 Meanwhile, a combination of low commodity prices and a challenging operating environment will keep growth tepid in the near term and a high level of guarantees to state-owned enterprises (SOEs) will continue to act as a headwind to fiscal consolidation. That said, the threat of a major economic crisis will remain limited given the strength and independence of the country's core institutions. 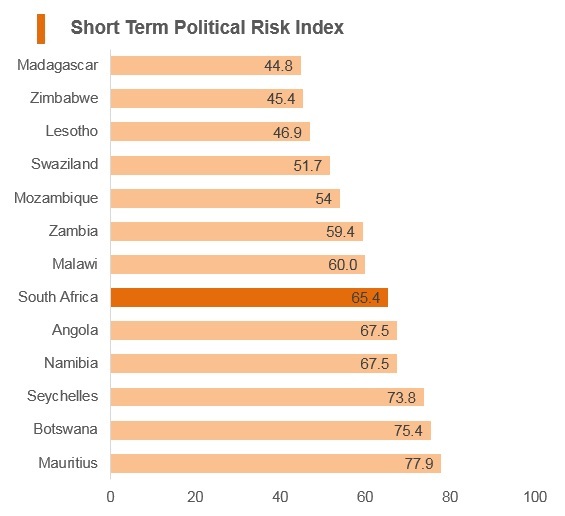 South Africa remains one of the Sub-Saharan African (SSA) outperformers in terms of the overall operating risks which businesses will face. The country's main strengths come from the Trade and Investment and Logistics Risks pillars, where the country receives it highest scores. 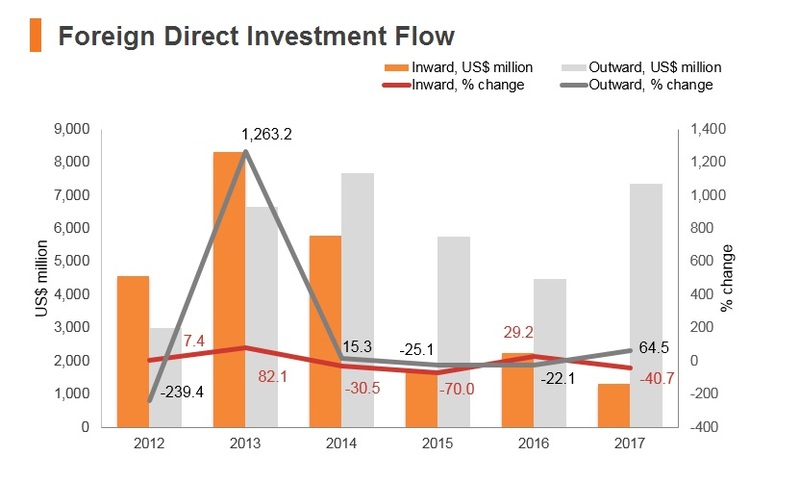 Factors such as the sheer size of the country's total trade turnover and total inward FDI stock demonstrate that it is clearly one of the region's economic powerhouses. This is further supported by its highly developed and stable banking sector and financial markets, comparatively efficient taxation system and independent judiciary. South Africa's transport infrastructure is also one of the most developed in the SSA region, which lowers overall operating costs. 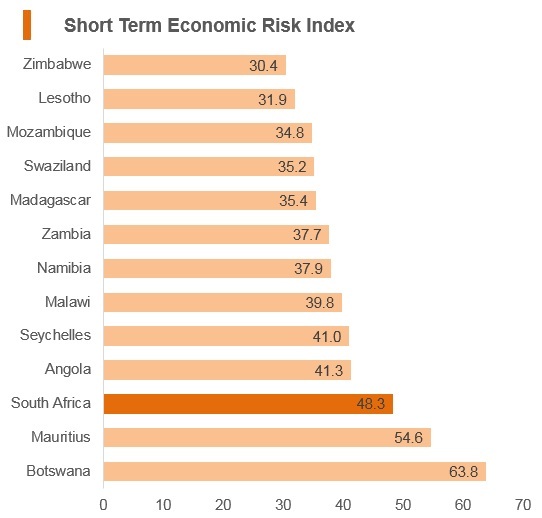 The country's performance is less competitive on the labour and crime and security fronts, with high labour costs, risks of widespread strike action and very high crime levels being major deterrents for investors. 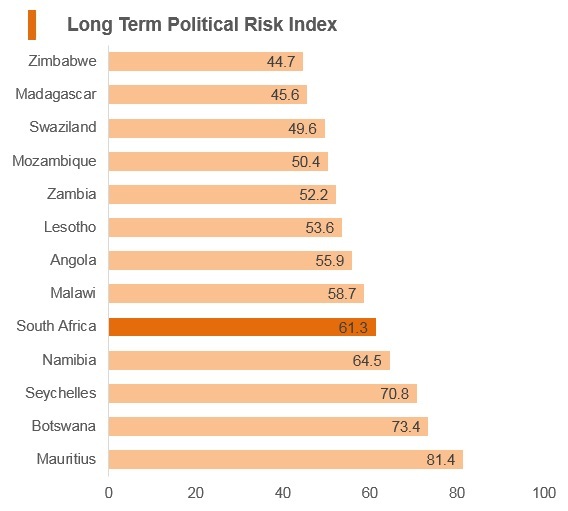 Additionally, South Africa's operating profile has come under significant threat from rising levels of corruption and fiscal slippages over the past decade. Hong Kong and South Africa concluded comprehensive Double Taxation Agreements on October 20, 2015. This is the first income tax treaty Hong Kong has with a jurisdiction in Africa. Hong Kong citizens do not require a visa for stays of up to 30 days. Stays longer than 30 days would require a visa. In terms of Immigration Regulation 9(2) of 2014 any applicant applying for any visa (permit) must submit his or her application in person at any foreign mission of the Republic where the applicant is ordinarily resident or holds citizenship or to the Mission to which the country is accredited to. All applications for visas and permits must be submitted in person by the applicant during consular hours (9:00 am-12:00 pm). Processing time for visa requires 5-10 working days.